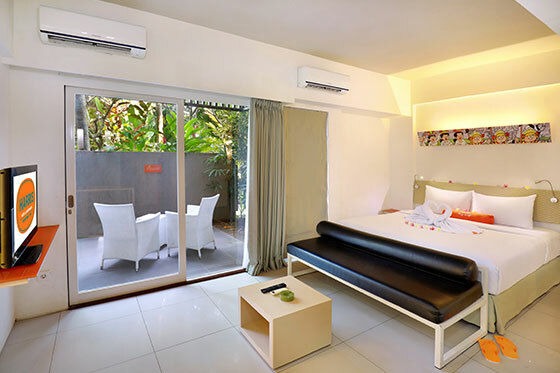 Comes with contemporary design and complete room facilities (24 sqm). 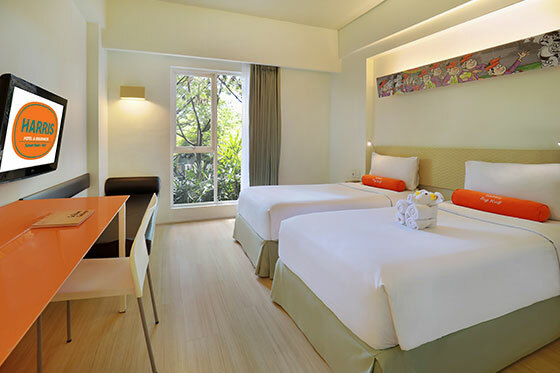 Smoking & non-smoking room available. 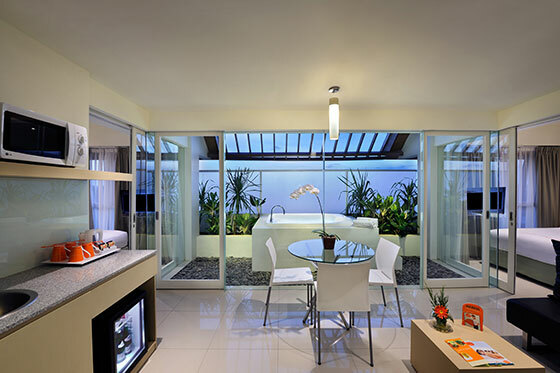 HARRIS Sunset Suite offer the opportunity to experience a relaxation in modern living. 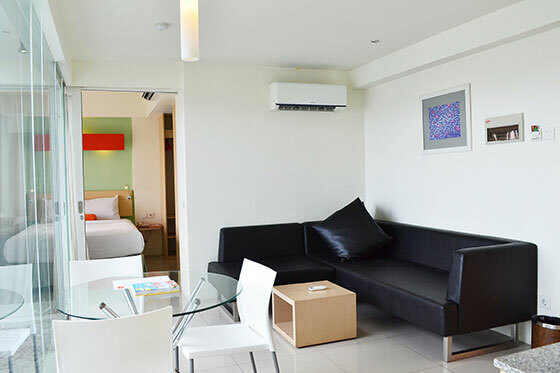 Comes with spacious living room, Jacuzzi, and located on the top floor (53 sqm). Smoking & non-smoking room available. 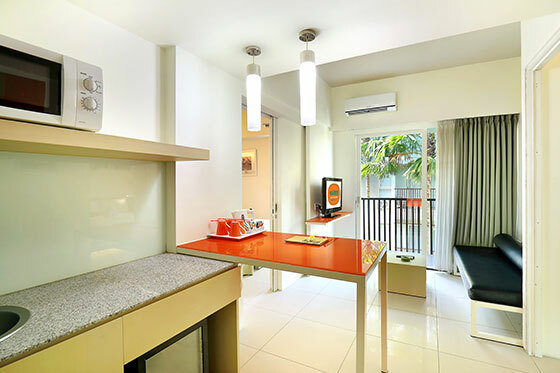 Comes with balcony & garden view, standing shower bathroom, and adjoining living room (29 sqm). Smoking & non-smoking room available. Offer spacious space with a separate living room and two HARRIS Room to host your family or friends. 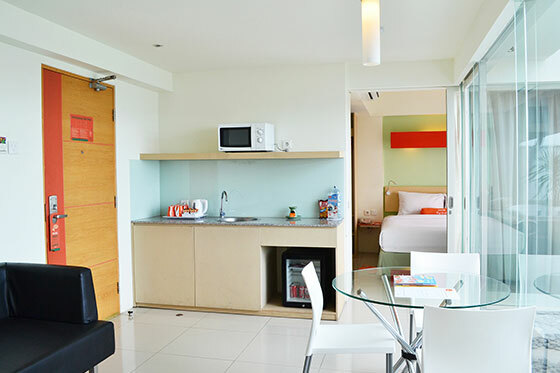 Featuring the combination of HARRIS Room King and HARRIS Room Twin with two standing shower bathroom (39 sqm). 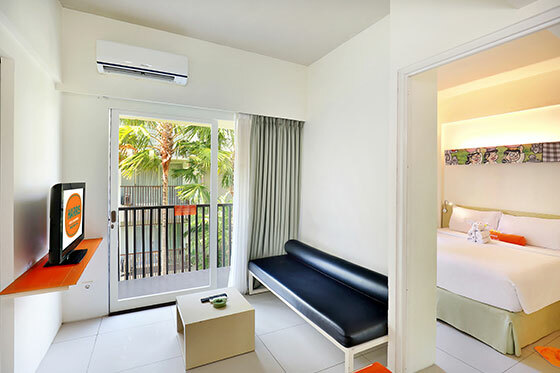 Smoking & non-smoking room available.